Instead of wearing a bulky removable denture, why not a Hybrid? Hybrid dentures are anchored directly on top of dental implants and are permanently fixed in place, but can be removed by the doctor for your scheduled cleanings. Did you know that it’s possible to have your diseased teeth pulled and a new implant denture installed the very same day? If your smile is healthy enough, our prosthodontics specialist can install your implants and place a prefabricated denture over them in just one appointment. A simple extraction starts as low as $150 per tooth. If you’re able to retain your healthy teeth, we have partial dentures starting at just $995, and single implant teeth starting at $2,600. Thanks to the implementation of advanced CT conebeam technology, our dental implant treatments are more comfortable and predictable than most. The 3D information allows us to digitally plan your surgery before we even start, so that the placement is precise, quick, and the recovery time drastically reduced. 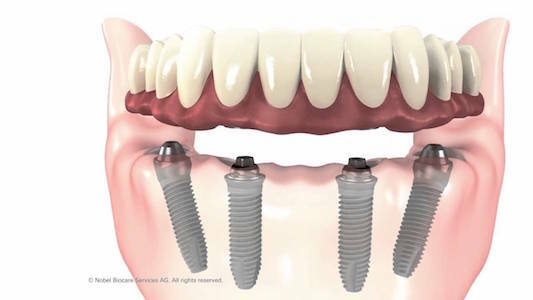 Surprisingly, having dental implants placed is usually even less painful than having a tooth pulled. We thoroughly numb the entire area around your implant site, so that you don’t feel a thing! Most discomfort after the surgery usually only lasts for a few days and is extremely easy to manage with an over the counter pain reliever. When well cared for, your implants can last for the rest of your life. No longer will you have to worry about something such as replacing a bridge every 10 years or remaking your partial. And thanks to our affordable financing plans, paying for your new smile is easier than ever. We have low and 0% interest plans available! 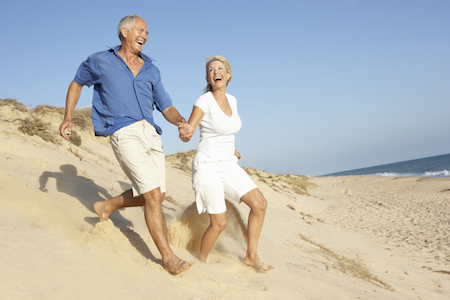 Come in today for a FREE consultation to find out if a Hybrid denture is right for you. If it is, we’ll go over your customized treatment plan and payment options so that you can make an educated decision about the future of your smile’s health.